Are you ready for the solar eclipse Sunday? There's a so-called Hybrid Solar Eclipse expected Nov. 3, 2013 which will be vsible most places in North America. (Alas,not in Hawaii, from what I can gather from the news reports.) Here's an excellent site that gives all the details. Whens the Leonid (or is it the Perseid) metor shower? 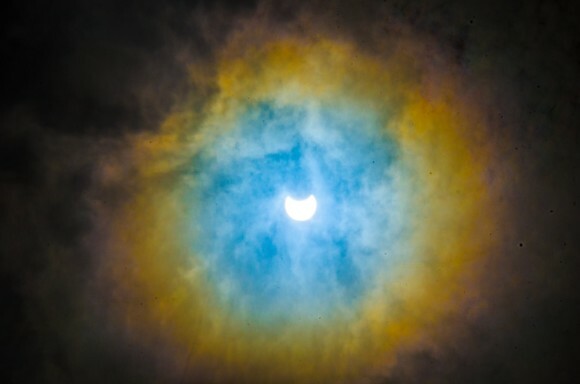 Here's an image of the eclipse earlier today from, I believe, Bangladesh. I'm not sure but you might get some information here. Another fine image from this morning. This one along the Blue Ridge Mountains in No. Carolina. good shots. Im really not as fired up over eclipses as I am about other galactic events. Have you ever experienced an actual total eclipse? In 1994 I was doing some prospecting in S America in the Altoplano and the Atacama desert and we saw the eclipse of the sun. It was spooky as hell. No matter how sophisticated in science one thinks they are, etherel experiences as that leave a psychological footprint that stayed with me. We were among alpacas that were carrying on and as the eclipse approached totality, everything just shut up and was totally quiet. A wind kicked up, probably from the rapid temperature change up the mountain slopes. I had an unltraviolet light I was using for lithium mica and the scorpions were coming out from under rocks like little demons unleashed for the night . There was a movie from a book by Stephen King that did a damned good job of recreating the feeling of a total eclipse in a town in Maine. I really don't think Id go out of my way to see another one. Its like a really well done "Halloween Haunted Maize Maze", I found it a little scary. I have to admit that Im a bit of a wuss because the light , as it dimmed and the stars came out, I swear you had a feeling of racing out through space as the stars from more and more distand solar systems in our Galaxy began to appear . You could actually see lower (number ) magnitudes appearing a few seconds later and right next to a closer- in star. They just looked like they winked ON as the totality approached. You really got a feeling of the "Dome" of the heavens. I forget how long the totality lasted but there were people in the village that were praying (I believe they were praying,cause it sounded like Catholic stuff). 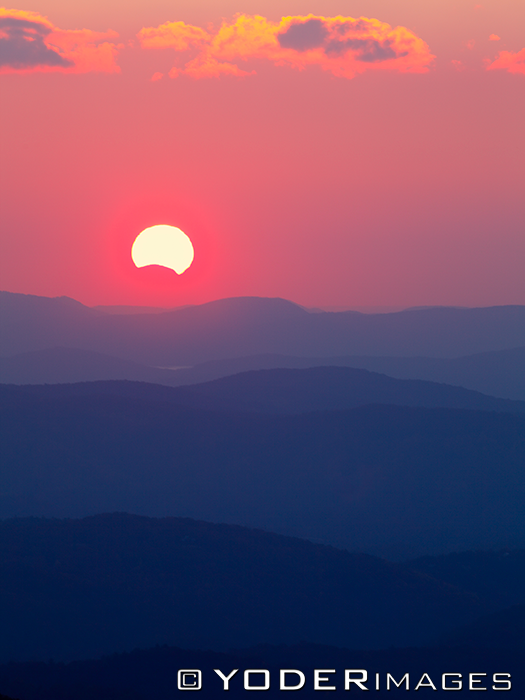 When the totality was over it was unlike a sunrise because the light was up high in the sky and it began to brighten over about 10 minutes. In 1998 I traveled to Aruba to see the total solar eclipse. I'm surprised to hear that you weren't as impressed with the one you saw as I was with the one I saw. I was standing on the beach when totality approached. There were hundreds of people around me all over the beach as far as I could see in each direction. Most people seemed only casually interested although there were a few telescopes and cameras around from more serious watchers. The light grew odd as the shadow slowly covered the sun, but with even the tiniest sliver of sun still exposed it's still far too bright to look at. 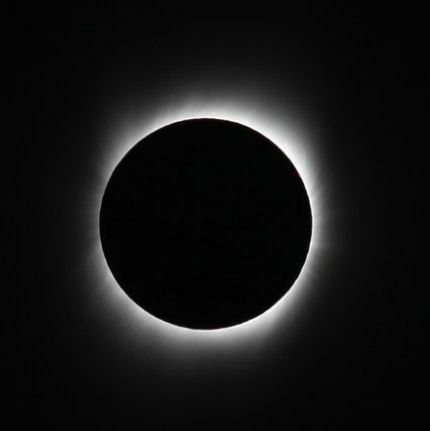 But in that last instant the air did seem to get cold and when totality finally hit it seemed like something had sucked the air right out of the beach. One moment the sky was blue like usual and then in an instant the sky vanished and it felt like I was standing on a mere strip of sand in the middle of naked space. The change was so rapid that as my eyes adjusted to the darkness the stars seemed to pull me into them. And right in the middle of it all was this perfect black hole with a beautiful pearly blue-green corona shining around it. A giant eye staring down right at me. I've never felt more deeply connected to the Universe than I did in those first few moments. It must have been five or ten seconds before the cheering started and I realized I was standing there with my mouth open staring. And then it was chaos, all up and down the beach people were cheering and screaming and crying and whistling. I looked around me and a lot of people had fallen to their knees. Something about the sudden change from a sky covering you to a naked sea of stars makes it feel like you are being sucked in and you lose track of the ground. A lot of people reacted by crouching or kneeling. We got a full three minutes before it ended, and it was all spectacular, but nothing compares to the first few moments when your mind just can't cope with the grandeur it's seeing. I'll never forget it. Well, now you make me feel like I really missed out. I didn't say I wasn't impressed, I was. I was actually a bit scared at the feeling . I got that feeling of seeing into space as if we were moving into it. The entire thing was a bit overwhelming and so, as a result, its on my "fuckit list". 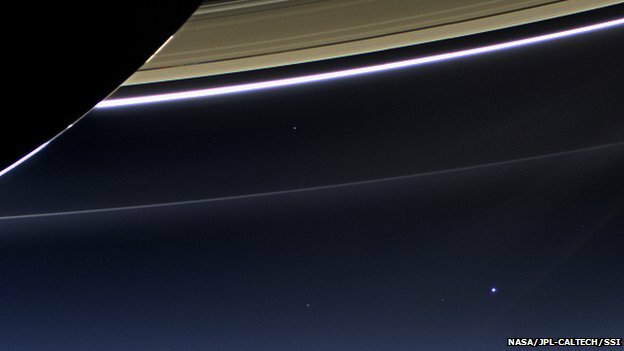 On 19 July, an array of overlapping images framing Saturn, its entire ring system and a host of its moons was acquired while Cassini was deep in the shadow created by the planet's eclipse of the Sun. » Are you ready for the solar eclipse Sunday?